We are currently doing a season of She Rides. http://www.cycling.org.au/Get-Involved/She-Rides . Give us a call if you’d like to do the next one. We are currently just offering She Rides as our group rides, as time commitments have increased due to coaching commitments at the Anna Meares Velodrome. Do I have to wear lycra? Not necessarily, no. Comfortable ‘active’ clothing may often suit better. What kind of bicycle should I buy? There’s so many types now. We can help you here. There are road bikes – which can now be for speed or endurance – a hybrid of road and mountain, hard-tail or full-suspension mountain bikes, fixed gear or cruisers, and (probably) more! Prices range from $200 to $20,000 for a World Champion. Good value can be found at almost every price point. SpokeSixteen absolutely recommends using a local bicycle shop. A local bike shop can make sure your bike is right for you in type and size as there are many variables. Where do I start to ride? The roads near my home are busy. SpokeSixteen will assess with you where, literally, to begin. Brisbane has many bike-paths, quiet lanes and open roads suitable for you. Sessions would begin in a suitable location as a result. Will I lose weight if I want to? 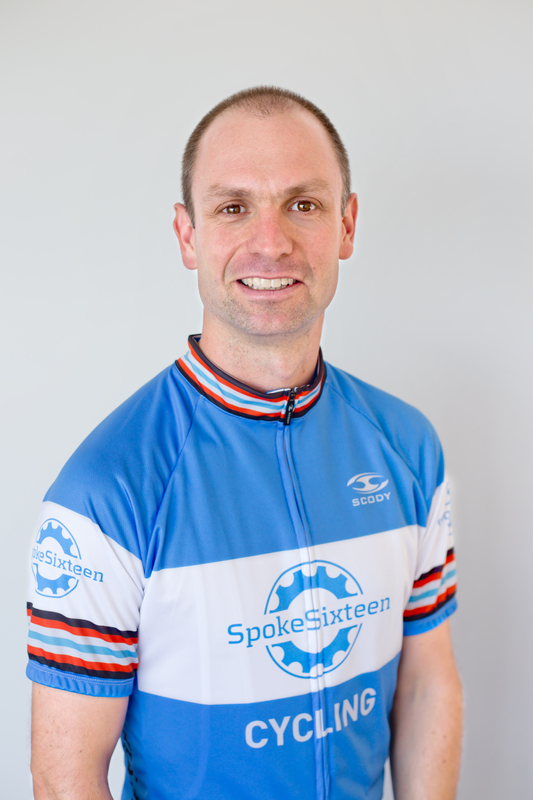 SpokeSixteen’s Michael Jordan has used over 10,000 calories in day’s ride. This is the equivalent of 41 Mars Bars. If you re-fuel with fewer calories that you expend then yes, the equation works that you’d lose weight! SpokeSixteen emphasises good health in general. My friend can do 100km. How does she do that!? By enjoying the ride and from building the right foundations to make that possible. And, having a bike that fits you.